Eastbound, passing thru Kyrene Rd. The dotted lines aren’t yet in. 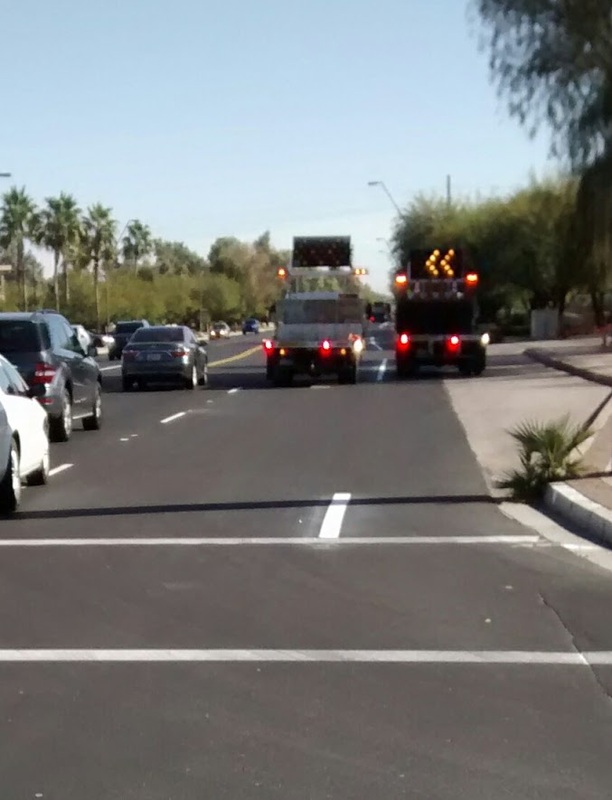 What has been painted measures at 4.5′ of asphalt in addition to the 1.5′ gutter pan. why is the solid white line interrupted?